Atmel AVR & SAM, Freescale Kinetis, Nordic nRF51, NXP LPC, ST STM32, TI MSP430 & Tiva, Teensy, Arduino, mbed, libOpenCM3, etc. 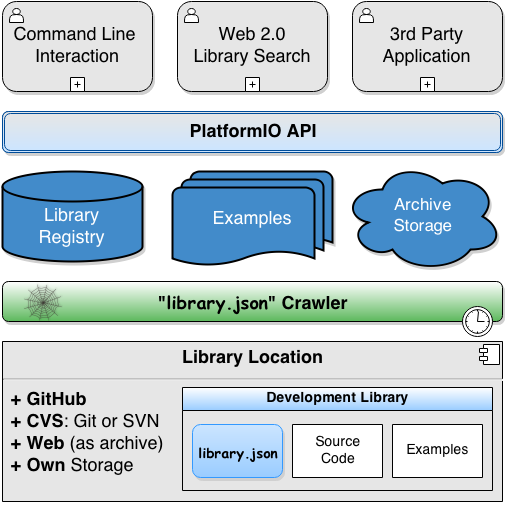 PlatformIO is a cross-platform code builder and the missing library manager. You have no need to install any IDE or compile any tool chains. PlatformIO has pre-built different development platforms including: compiler, debugger, uploader (for embedded boards) and many other useful tools. PlatformIO is written in pure Python and doesn't depend on any additional libraries/tools from an operation system. It allows you to use PlatformIO beginning from PC (Mac, Linux, Win) and ending with credit-card sized computers (Raspberry Pi, BeagleBone, CubieBoard). Embedded Development. Easier Than Ever. 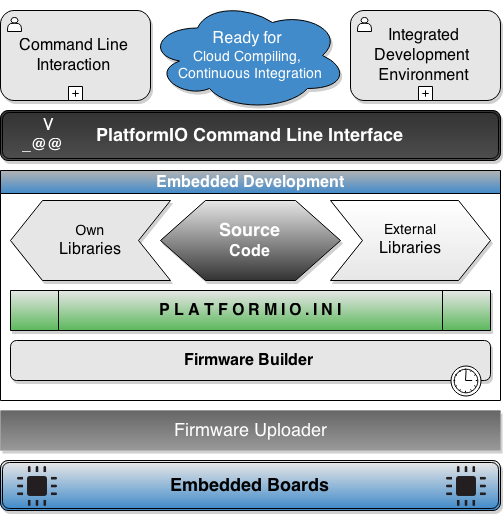 PlatformIO is well suited for embedded development and has pre-configured settings for most popular Embedded Boards. The Missing Library Manager. It's here! PlatformIO Library Manager is the missing library manager for development platforms which allows you to organize and have up-to-date external libraries. Smart Code Builder. Fast and Reliable. 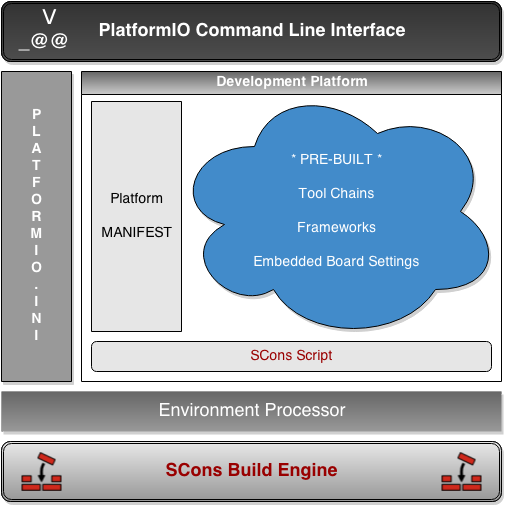 PlatformIO Code Builder is built-on a next-generation software construction tool named SCons. Think of SCons as an improved, cross-platform substitute for the classic Make utility. Single source code. Multiple platforms. PlatformIO allows developer to compile the same code with different development platforms using the Only One Command platformio run. This happens due to Project Configuration File (platformio.ini) where you can setup different environments with specific options (platform type, firmware uploading settings, pre-built framework, build flags and many more).